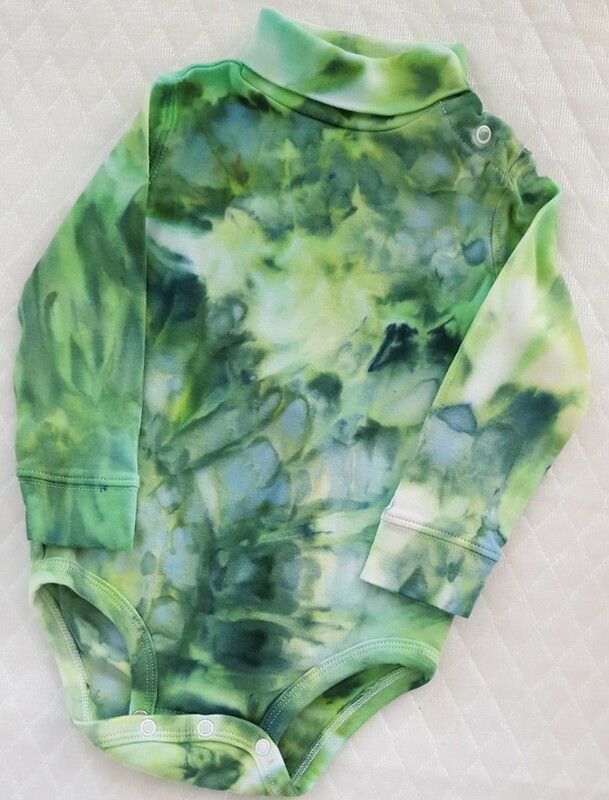 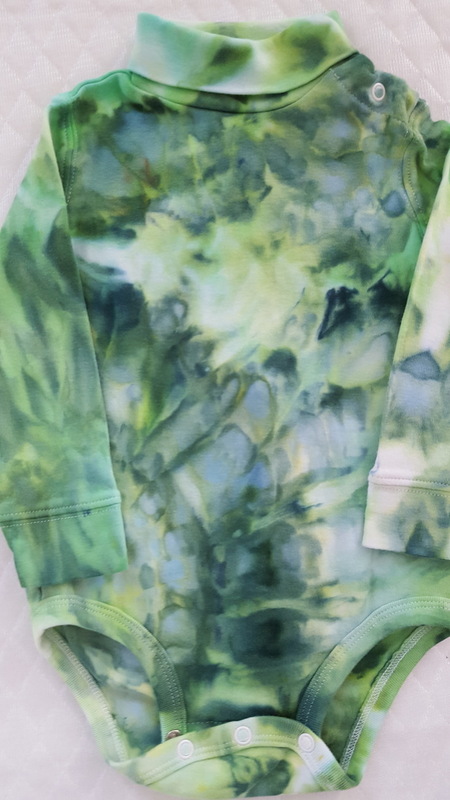 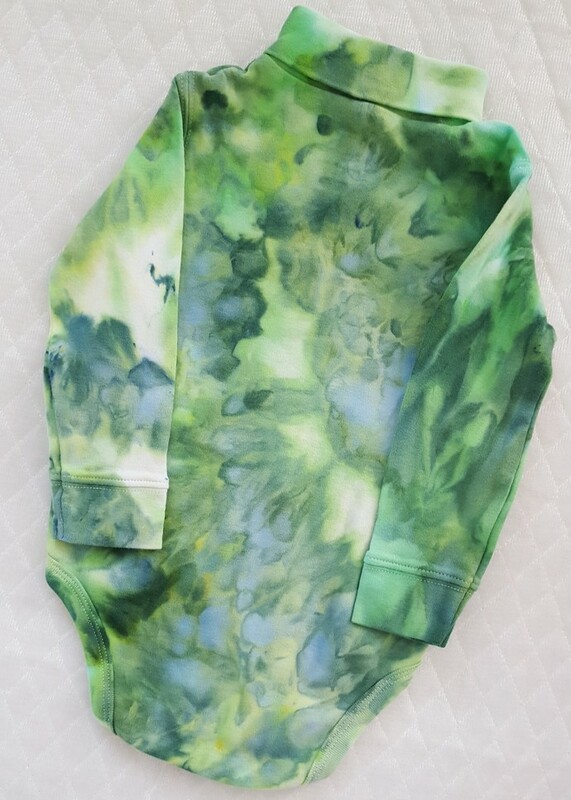 Great colors in this ice dyed baby turtleneck. 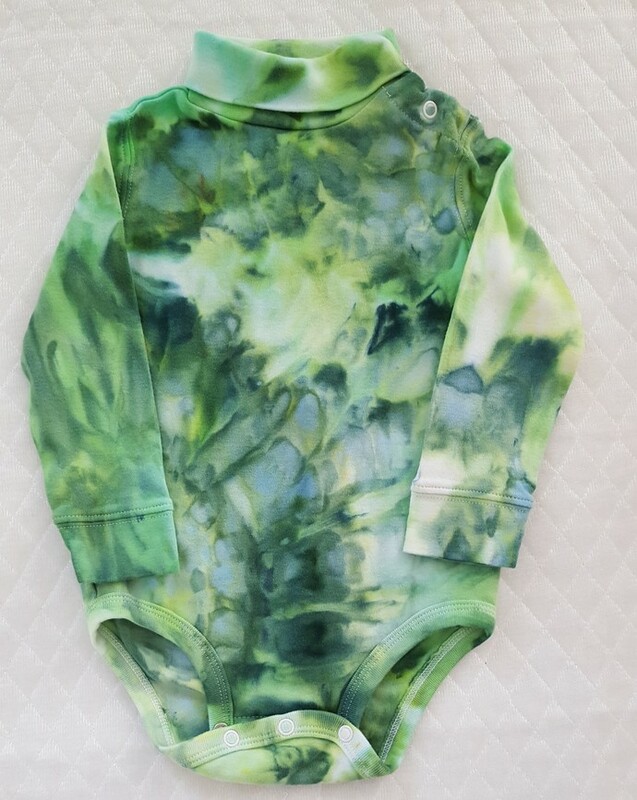 Great greens and blues for a boy or a girl. 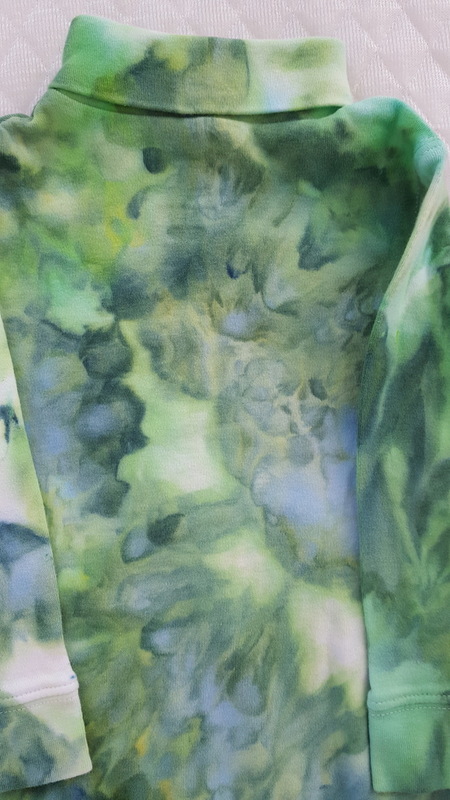 Ice dying is similar to tie dying except ice is used to make the design. 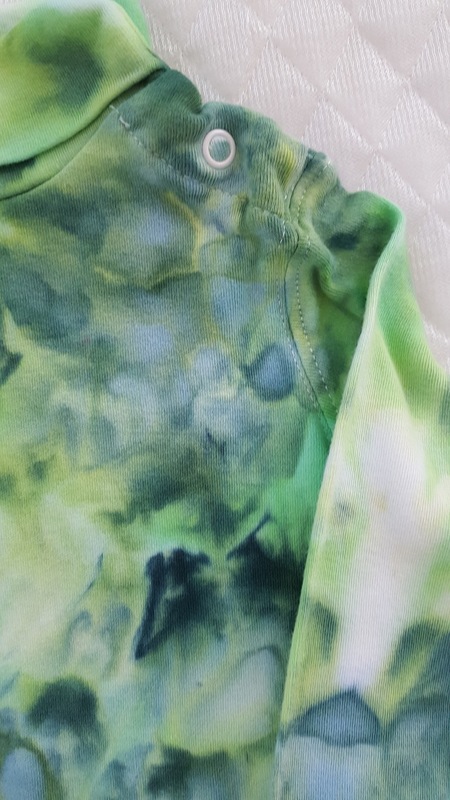 Machine washable in warm water. 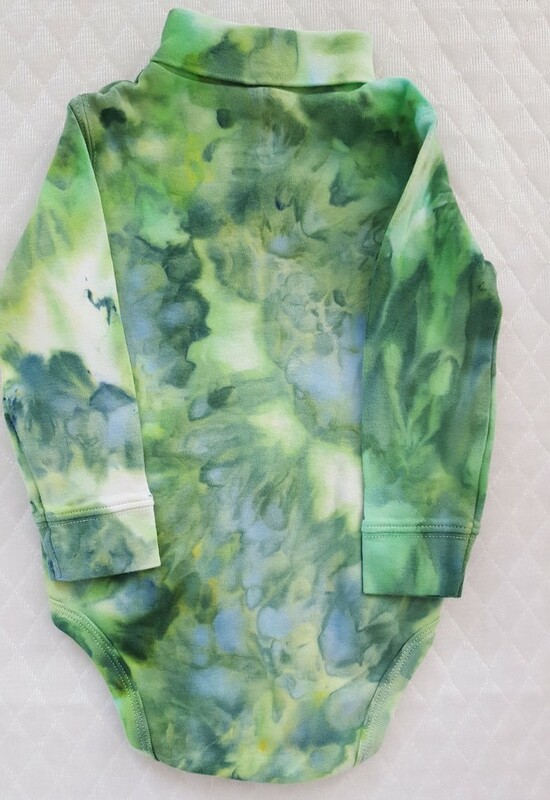 Size 12 to 18 months; 20" below the armholes, 17" long.